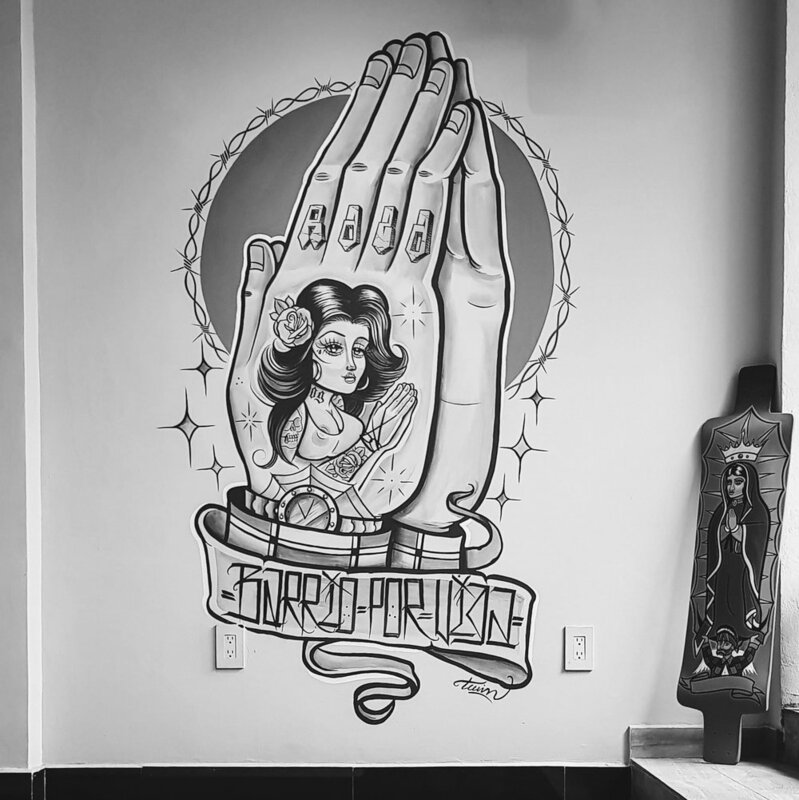 While in México City in May 2018, Kass and I spent a day with graffiti/street/tattoo artist Buster and visited his space at Lettering Malandro — ‘malandro’ fittingly being slang for the non-conforming youth. 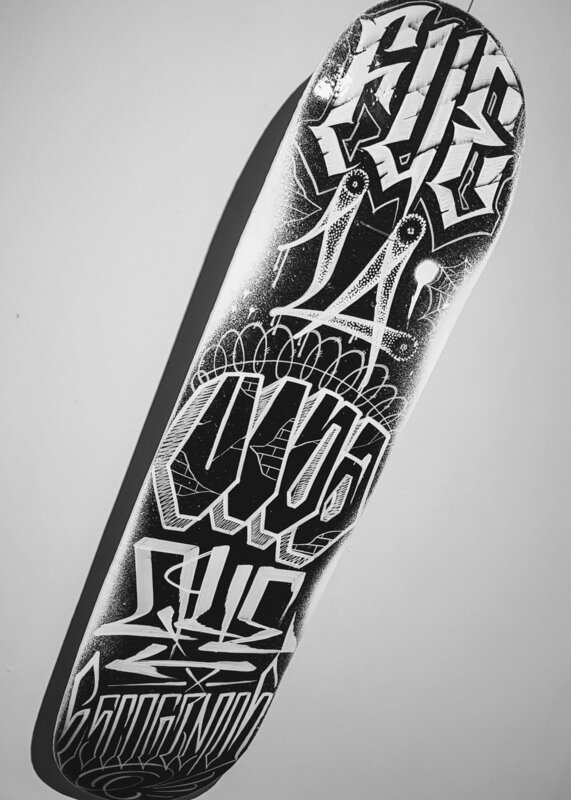 Buster’s style is all about intricately-detailed typography. Backing up the ‘malandro’ name were murals like ‘la vida que escogimos’ — ‘the life we chose’ — and ‘barrio for life’ — ‘barrio’ being the latino equivalent of ‘hood’. Some work was so beautifully grungy it bordered on being abstract, while other pieces stood out for their sharpness. One wall was emblazoned with an outline of México filled with arcing arrangement of floral ornaments. Buster often records graffiti hits, uploading the videos to his ‘Wild Street’ YouTube channel. I see the one below on the way to the office every morning whenever I’m in Monterrey. Follow Buster on Instagram and Facebook, Lettering Malandro on Instagram, and Wild Street on Instagram and YouTube.